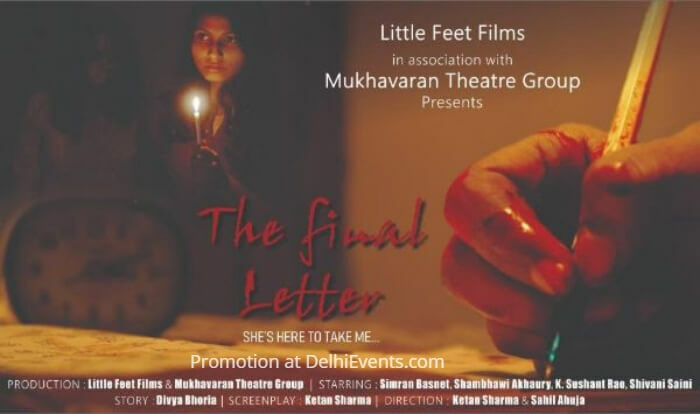 Event Description : THEATRE : Little Feet Films and Mukhavaran Theatre Group present "The Final Letter" Hindi Play. A story of an innocent girl who was living a lie her whole life. But the truth was waiting to come out for years and finally, it was the day when she was prepared to take revenge and she drags her away with her forever!